Tournament Seeker is already in its third month of providing gamers a powerful resource for finding live and online video game tournaments. We’re now averaging over 100 video game event listings at any given time, so obviously Tournament Seeker is being used by competitive gaming tournament organizers as well. 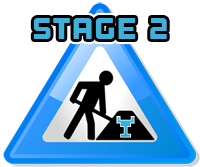 We’ve had great feedback on the overall concept and user experience, but as we progress towards the long-term vision of Tournament Seeker, our team will begin “Stage 2″! This post-launch stage of development includes a variety of enhancements. Along with optimizing the homepage to make it even easier to search for video game tournaments, we’re excited to offer players and fans more tools for tracking/sharing their favorite events, while also greatly enhancing Resource Central for event organizers. Many more specific features are in the works and will be announced as we release updates, so definitely stay tuned here and through our variety of social media outlets.